Went to the San Francisco Railway Museum and learned all about the streetcar system in the city. Great displays and artifacts from the system's history. 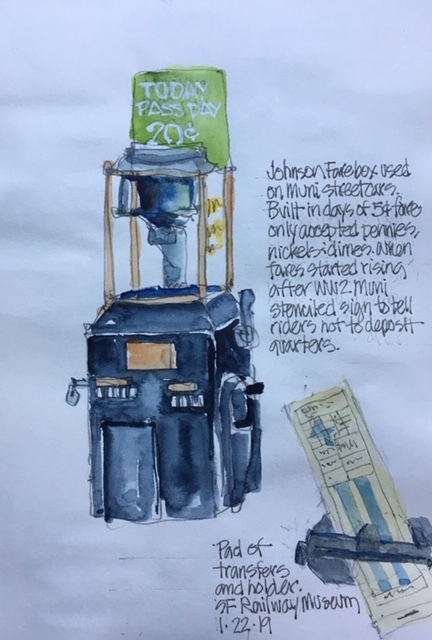 I remember fare boxes like these and the sound they made when the operator turned a crank and all the coins would clank into the collection box.